Lisa Robinson’s There Goes Gravity — subtitled “A life in rock and roll” — contains photographs of the author with Mick Jagger and Keith Richard, Jimmy Page and Robert Plant, John and Yoko, David Bowie, Lou Reed, Andy Warhol, Ahmet Ertegun, Iggy Pop, Elton John, Michael Jackson, Patti Smith, all of the Ramones, Johnny Rotten, David Johansen and Johnny Thunders, Joe Strummer and Mick Jones, Bono, Eminem, Dr Dre, Jay Z, Smokey Robinson and Berry Gordy Jr, Kanye West, and Lady Gaga. Oh, and John McEnroe. What it doesn’t have is a photograph of Lisa with me. So I thought I’d fix that. Here we are, caught by the flashbulb of her friend Leee Black Childers, who became the Weegee of the Max’s Kansas City/CBGB set. This picture was taken on July 6, 1972, according to the caption on the back, written in Lisa’s sloping hand. Apparently we’re at a restaurant in New York City called Butler’s, attending — and I can hardly believe I’m writing these words — a press reception for Black Sabbath. We were, of course, on our way to somewhere else. I was in New York for the relocated Newport Jazz Festival, so we might have been bound for a concert by Ornette Coleman at Lincoln Centre’s Philharmonic Hall (where I think I embarrassed her by leaning over to invite Jerry Wexler and the New York Post writer Al Aronowitz to shut up) or Cecil Taylor at Carnegie Hall. Or we could have been heading off-piste to the St Regis Hotel to hear Mabel Mercer. When she came to Europe in those days she stayed the Ritz in London and L’Hotel in Paris, and always insisted on changing her allotted room shortly after arrival, as a matter of principle. But New York was the capital of the world, and she was an excellent companion and sometimes guide. Mabel Mercer would have been her idea. Thanks to her, I saw the New York Dolls at the Mercer Arts Centre, Television (with Richard Hell) and Blondie, Talking Heads (then still a three-piece) and the Ramones, all before they had their first recording contracts — and it was she who pointed out Seymour and Linda Stein of Sire Records at a front table at Max’s, moving their lips with word-perfect accuracy to the songs of Talking Heads, whom they were extremely keen to sign. Like most musicians, she never went to bed before the small hours and got up when civilians were having lunch. She was out every night. She spent hours on the phone and could be a kindred spirit. She loved to gossip but know how to keep a secret, or at least how to share one with care. She was an early adopter and a good interviewer, adept at establishing a lasting rapport, which means the book contains unusually valuable stuff from many of the people with whom she was photographed. And she had a sharp New York wit, often employed to deflate pomposity (her best friend, and the book’s dedicatee, is the social satirist Fran Lebowitz). When the Stones hired her to be their press adviser on their 1975 US tour, she had no scruples about spending a little time on the dark side because she knew that — like her closeness to Page or Reed — it would give her marvellous material. We lost touch some time before she became a contributing editor to Vanity Fair, where she has written about stars and edited the music issues for the last 15 years. Her very entertaining book came out last year and has just been published in paperback (by Riverhead). It’s good value if you enjoy stories about hanging out with Rick Rubin or Walter Yetnikoff, or anecdotes like the one about lending Jagger a pair of her lace knickers to wear on stage when his own underwear went missing. It’s a form of higher gossip but the less frivolous stuff is always worthwhile, too, because she engages with her subjects and approaches them from shrewdly chosen angles. She doesn’t write much about the music itself: she was an early friend of most of the great American rock critics, but she never wanted to be one. Good for her. Enjoyed the book enormously. Lisa had that US work ethic that contrasted with the British trade press Gonzo attitude; she filed on time, wrote well and gave tantalising hints that nefarious activities were often afoot when UK rock bands encountered the laissez faire world beyond NYC. She was part of the NME coterie that made Thursday mornings an enjoyable, fantasy inducing experience in the er, Prefect’s Room. Oh dear. 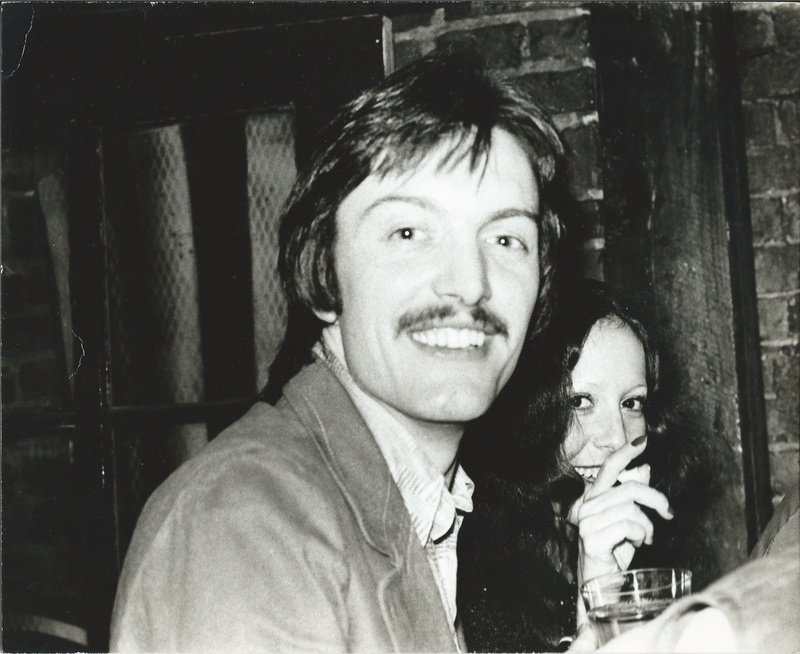 When I arrived in New York in 1973 as MM’s man in America Lisa and her then husband Richard were immensely helpful to me, introducing me to the right people, even though she was writing a column for our rival NME. But one thing she did, perhaps unintentionally, drove me crazy. She’d call me up to tell me about something or someone, usually some gossip, then her other line would ring and she’d put me on hold… for ever. After 10, 15 minutes I’d hang up and call her back, and I guess when she answered and talked to me again, apologising, someone else was put on hold… for ever. I remember the ‘Jagger wore my knickers story’ very well. Lisa confided in me that Mick liked to wear women’s knickers back to front as in this way they offered ample room for his wedding tackle and tightened things up at the rear. I cannot verify this. If only to see Talking Heads lucky man. I’ve never been a “those were the days” person, but they were certainly some of them.